Home Abs Cara Delevingne Is Really Good At Drawing Penises! Model, actress, artist: Cara Delevingne can do it all! 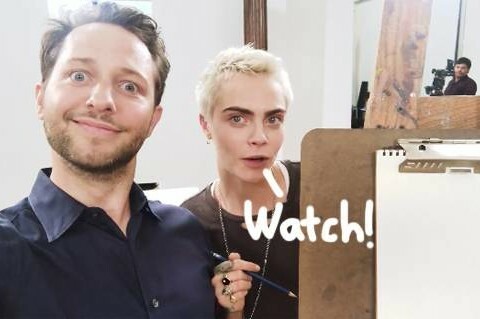 On Wednesday, Vanity Fair released the latest episode of “Derek Does Stuff with a Friend” where writer Derek Blasberg takes a figure drawing class at the New York Academy of Art with the Valerian star. While the two start off with still objects, they eventually work their way to drawing people… NAKED PEOPLE! Although the British babe claims she isn’t good at drawing, she does surprisingly well, especially when it comes to capturing male genitalia! Who knows?? Maybe the supermodel will open an art gallery one day! To see the funny clip, ch-ch-check it out (below)! Previous articleLana Del Rey Doesn’t Care If She Loses Fans Over Political Beliefs!